Join us on a short but extensive adventure into Svalbard’s polar night where the sun does not rise above the horizon for four months of the year. 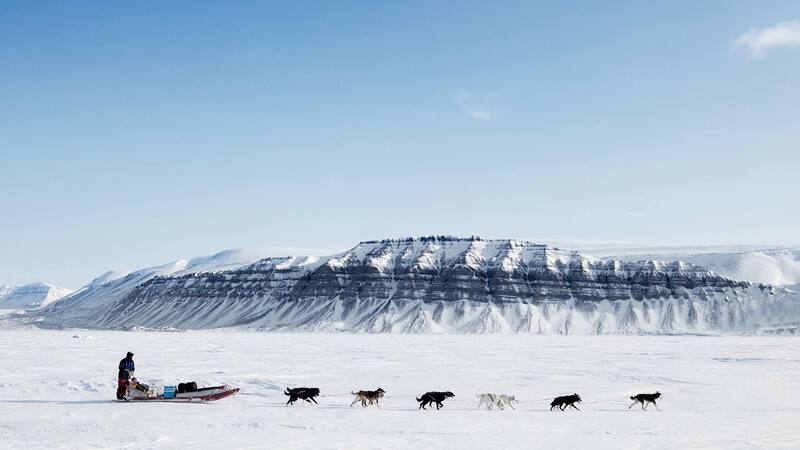 On this trip you will get to experience Svalbard’s winter as you head out on some classic arctic adventures including dog-sledding and a snowmobiling tour to a wilderness camp. In the camp you will spend a night, surrounded by nothing but the arctic landscape and darkness – a perfect combination for looking for stars and northern lights! 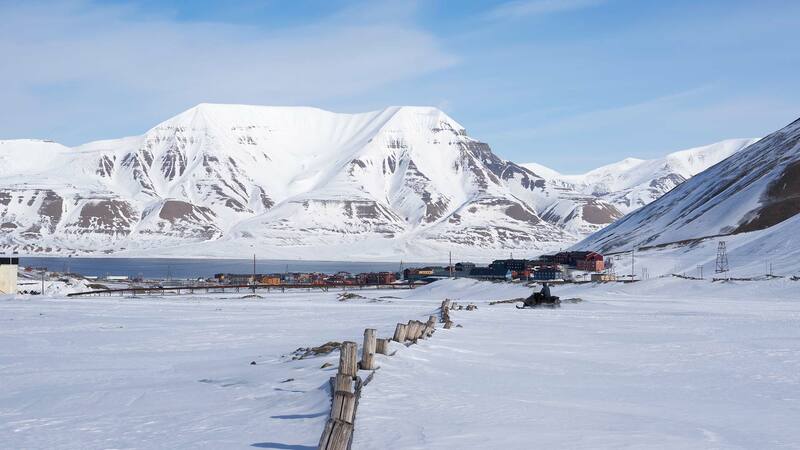 Arrive at Longyear Airport in Svalbard followed by a shuttle transfer to your accommodation for the night. 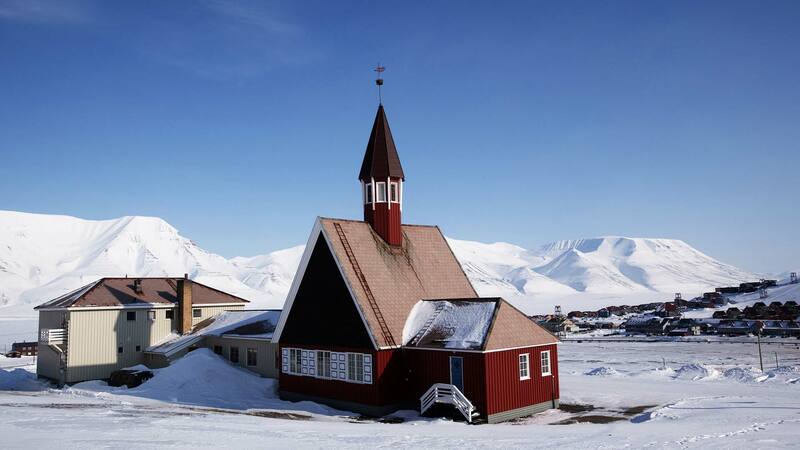 After check-in, you will have free time to explore Longyearbyen as you wish, perhaps paying a visit to the Svalbard Museum to learn more about the region´s history as a hunting and mining outpost. For a fantastic dining experience, we recommend the charming Restaurant Kroa or the lovely Huset Restaurant. 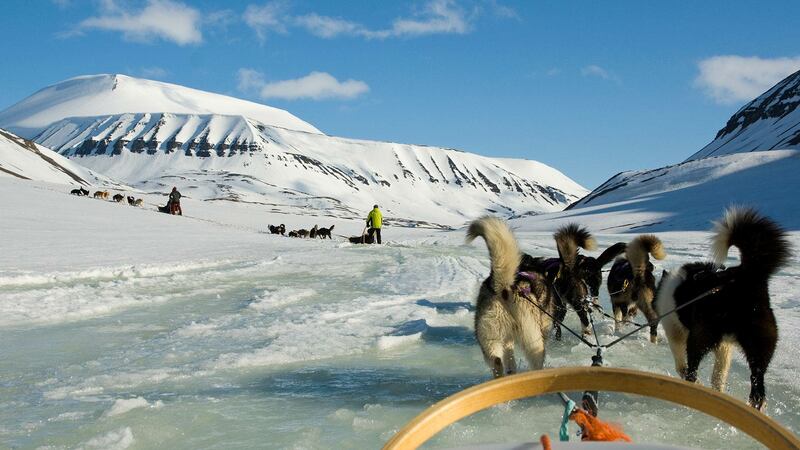 Start your journey in the north by partaking in the classic arctic adventure – a husky safari. 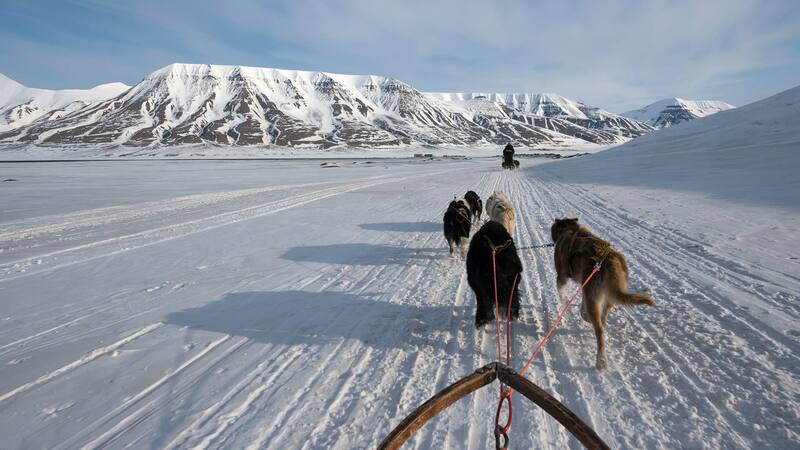 After breakfast, your guide will pick you up and take you to the basecamp trapper’s station, where 90 Alaskan huskies eagerly await to take you on a thrilling sled ride under the stars and possibly the northern lights. * After a brief lesson from the lead musher, the reins are yours and the journey begins! 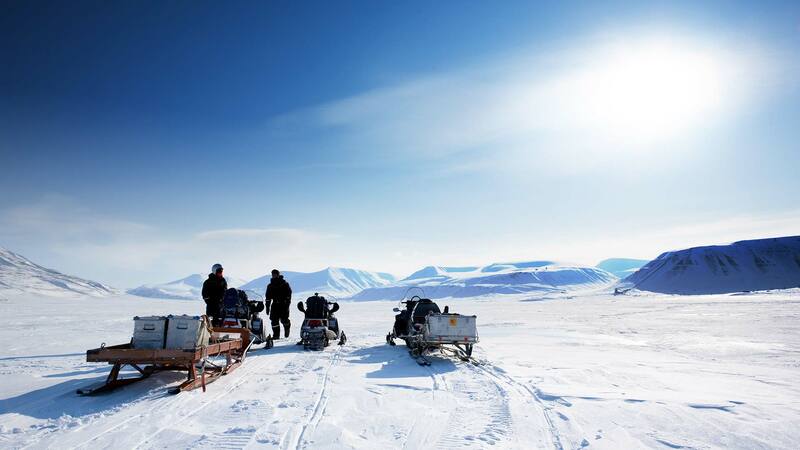 With only the sound of the dogs and the sled scraping against the ice, this is sure to be an experience to remember. 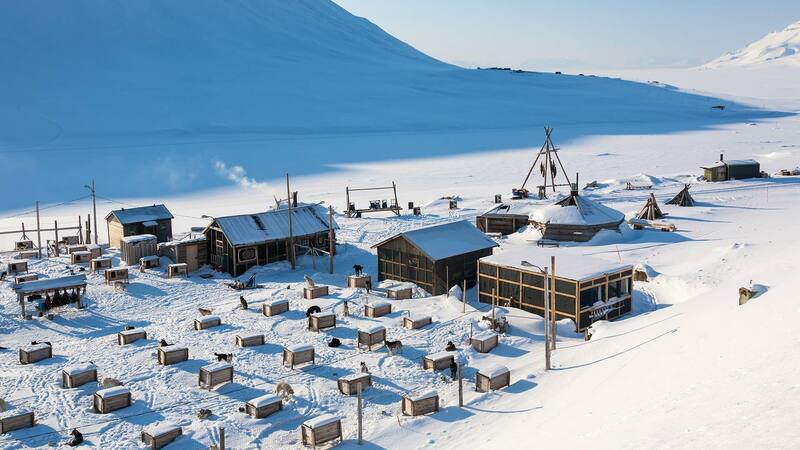 Back at the kennel, un-harness your hard-working dogs and enjoy a hot beverage and light snack at the trapper’s station before returning to Longyearbyen around lunchtime. Meet your guide at hotel at 5 pm. You will have time to sit down with the guide, talk about the coming trip, possible routes and needed equipment. After the meeting, had for further preparation and get warm clothing, like the overall and winter boots, and then head to the snowmobiles. Only the headlight from your snowmobile will be lighting the snow-covered mountainsides. Start slow to get used to driving the snowmobiles. After a short ride you arrive to Trapper’s Station, where we are welcomed by eager Alaskan Huskies. 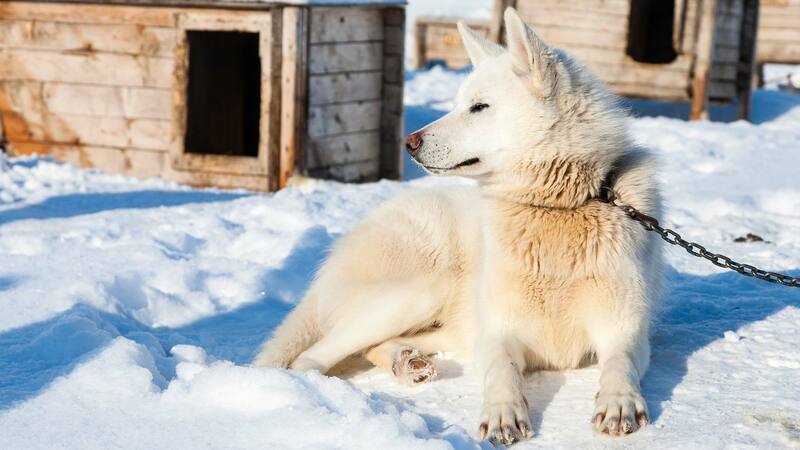 We meet the dogs and learn more about trapper’s history at Spitsbergen. Dinner is served inside the warm trapper’s cabin where we share stories in an authentic atmosphere. Outside Longyearbyen there´s no the light pollution, which give you a view to the polar sky and the stars sprinkled across. 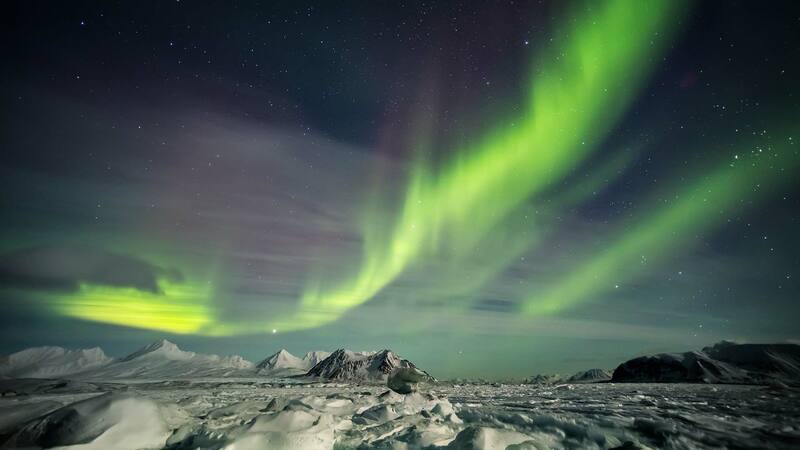 You might also experience the northern light dancing on the sky. Nights can be cold, but for that, we have warm expedition sleeping bags to keep you warm. Wake-up and enjoy breakfast at Trapper’s Station. Svalbard in one of the few places you can spot northern lights at daytime. 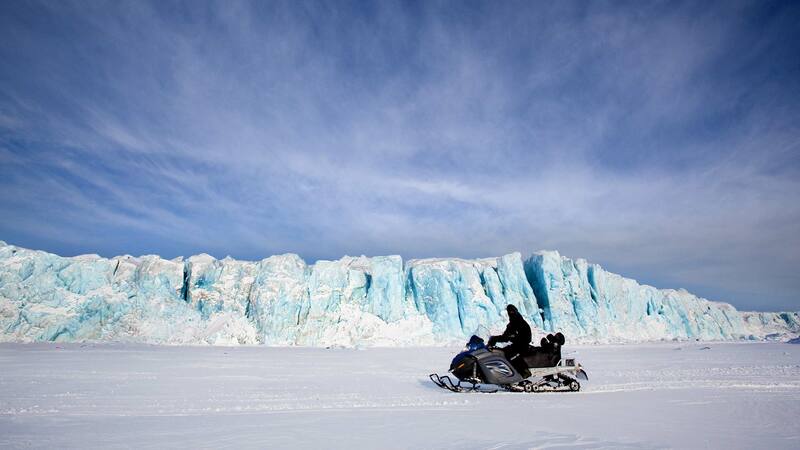 After breakfast, you explore the area with the snowmobiles. Snack is served, and there will be interesting photo stops during the trip. 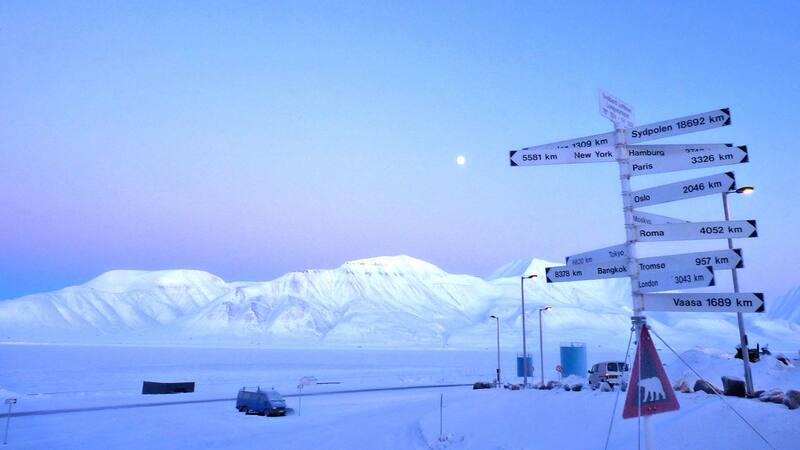 The return to Longyearbyen is around 1 pm. 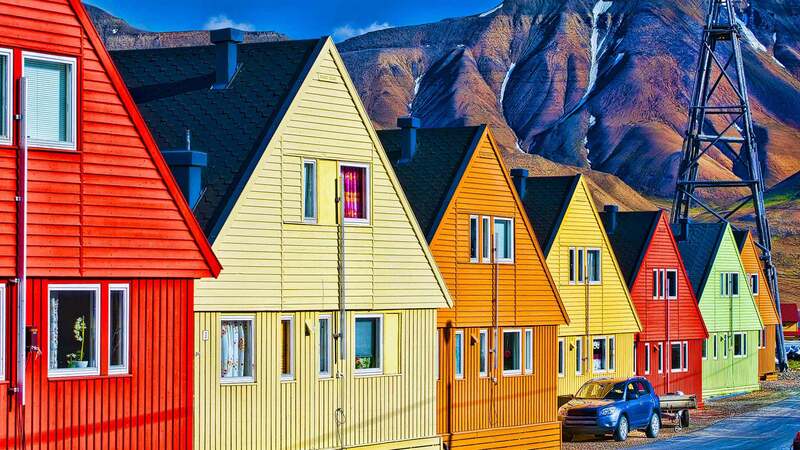 Before departing this amazing place, the early part of your day is free for a stroll around Longyearbyen, a visit to the Svalbard Gallery, some last-minute souvenir shopping, or an optional activity. In the afternoon, take the shuttle bus to Longyear Airport for your return flight to Oslo, from where you will continue to your final destination. 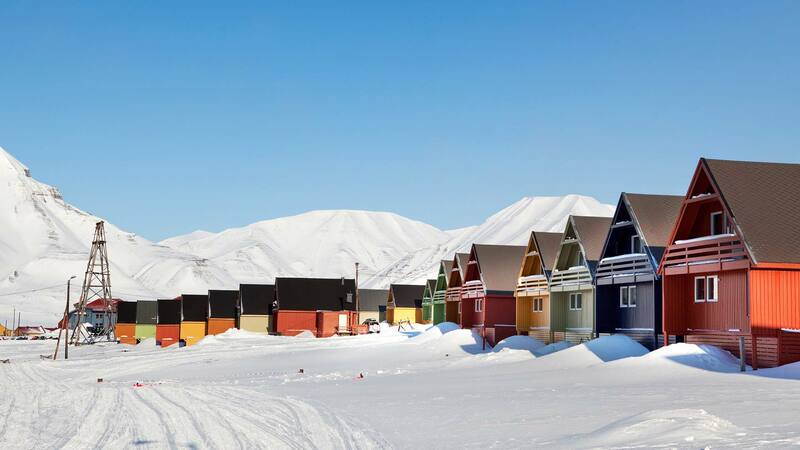 Our Travel Consultants can assist with booking air travel between Oslo or Tromsø and Longyearbyen and with booking accommodation in Oslo or Tromsø if needed. This tour can be customised, including additional nights in Oslo, Tromsø, or Longyearbyen on request. We can also combine this tour with other tours in Norway. Contact us for details. Temperatures in Svalbard between October and February generally range from -2 to -15° Celsius but can reach lows of around -30° Celsius. Travellers should bring warm, weatherproof outerwear along with thermal layers and insulated boots. Sunglasses and thick moisturizer for the face are also recommended. A list of necessary personal equipment will be provided before arriving. More information on what to pack to for Svalbard. 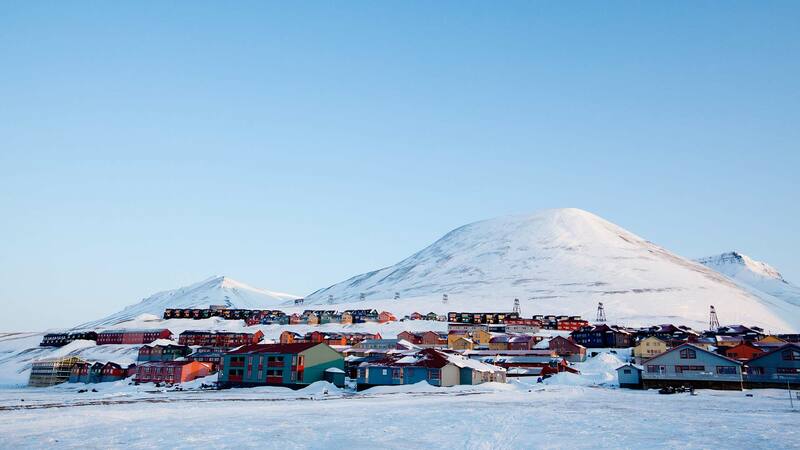 In Svalbard, the weather can change and your safety is our priority. Our tours are therefore designed to be flexible for any necessary changes. If conditions are right, the northern lights can be seen on this tour. However, sightings cannot be guaranteed. Participants should be in good general health to participate in the outdoor activities of this tour. The North Pole wilderness camp is a set of warmed tents, with an entrance area for your snowmobile suit and boots and then a warmed dining room. The sleeping tents have beds and warm sleeping bags, which are of course warmed up too. Here, you will share the tent with other travellers. Indoor toilets are also on location. Warm breakfast and dinner is served on location.